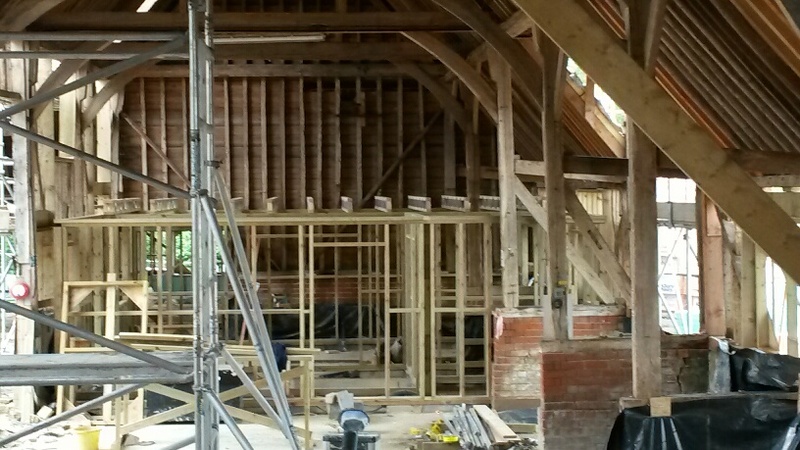 We are delighted to unveil the fantastic progress being made at our on-going conservation project in Winterbourne, Royal Berkshire. 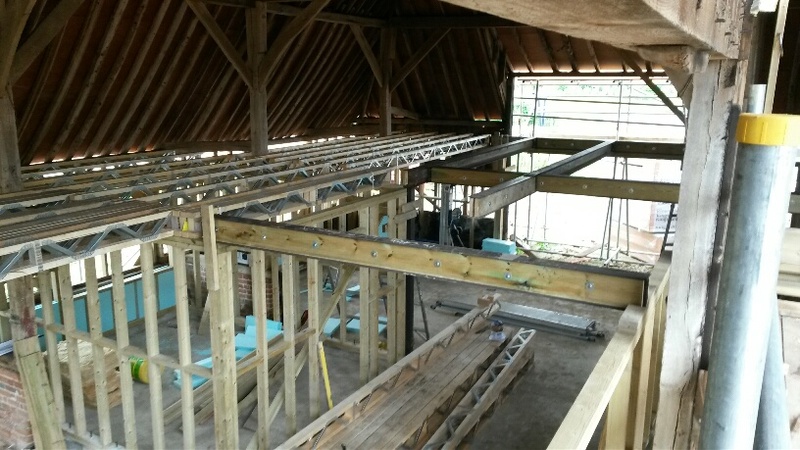 The redevelopment of the roof structure is now in its final stages following the reinforcement of the existing timber frame and the installation of new roof joists and tiles. New openings are now being formed, which will allow for the installation of Velux windows. 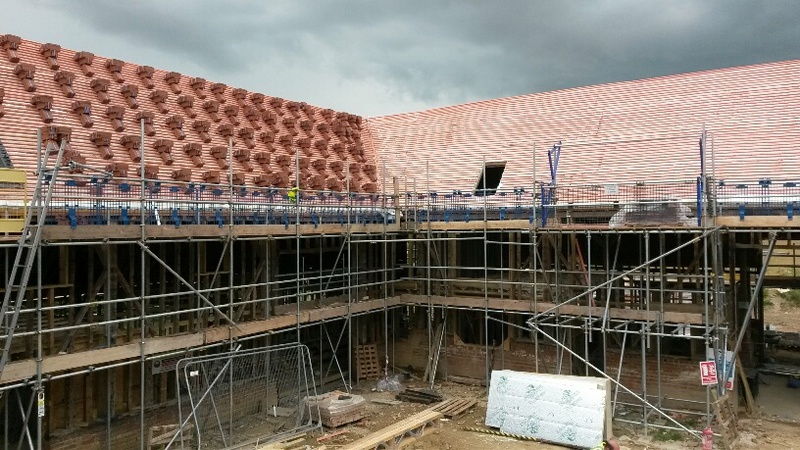 Elsewhere on site, all floor slabs have now been laid and external brick work alterations are now complete. 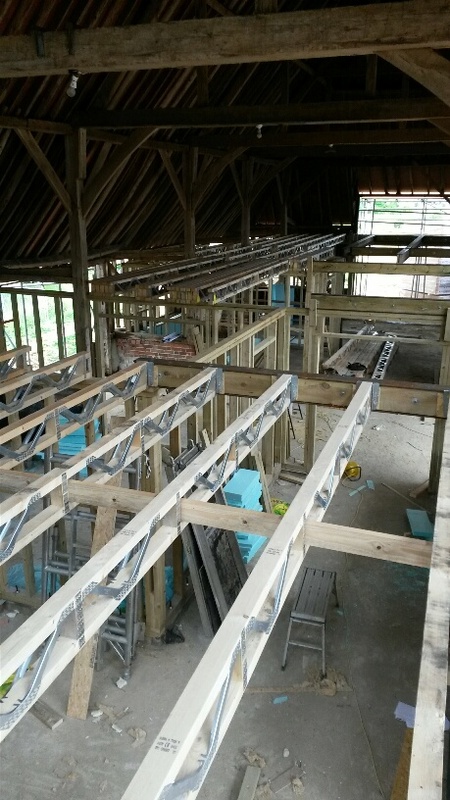 The coming weeks will see all remaining roof works wrapped up, allowing stud work on the ground and first floor to commence. This unique project, situated in the beautiful countryside of Royal Berkshire, entails the conversion of a grade 2 listed barn and outbuildings, into four luxurious residential dwellings.